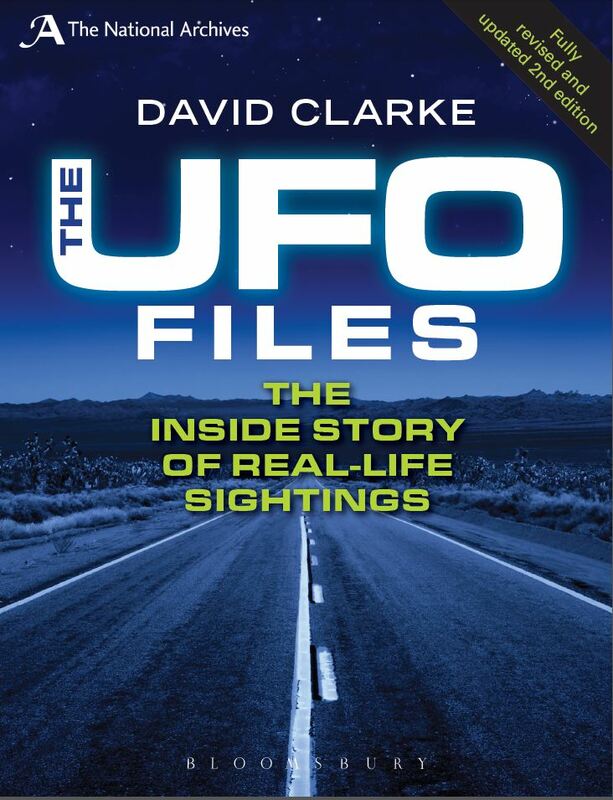 The second edition of The UFO files was published by Bloomsbury on 13 September 2012. You can order the book from Amazon here or via the publisher’s website here. The National Archives press release on the book can be found on their website here. ‘Their Last Word on UFOs’ – a collection of position statements from politicians, military officials and scientists. Plus a new chapter summarises the key revelations from the UFO files released from 2009-2012, including the story of the Boston/Skegness UFO flap of 1996, the role of the RAF Fylingdales in UFO tracking and the events which led to the release of the MoD’s files and the closure of the UFO desk. They are often described as ‘the real X-files’ and for decades they were kept locked in the archives of Britain’s Ministry of Defence. But since the arrival of Freedom of Information more than 50,000 pages of official documentation on UFOs have been released to The National Archives in Kew, southwest London. Journalist David Clarke led the campaign for the disclosure of the files and as the consultant for The National Archives UFO Project, he has had unique access to both the files and many of those who were responsible for UFO investigations at the MoD and RAF. The stories are brought to life by dramatic witness statements from the files, supplemented by interviews – many undertaken by the author – and rarely seen photographs, drawings and images of newly-related documents, to offer a unique guide to one of our most intriguing modern mysteries. This entry was posted in Uncategorized and tagged Bloomsbury, Captain Eric Brown, crop circles, Freedom of Information Act, Ministry of Defence, Rendlesham, Saucer Sam, Ted Conrad, The National Archives, the real X-files, UFO files, Winston Churchill. Bookmark the permalink.